Dr Janet Metcalfe is the Head of Vitae, committed to providing world-class career and professional development for researchers. She is responsible for the strategic direction of Vitae and leads on the implementation of the UK Concordat to Support the Career Development of Researchers. 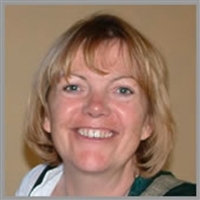 She is a chair of the CROS/PIRLS Steering Group, responsible for developing and managing the Careers in Research Online Survey (CROS) and the Principal Investigator and Research Leaders Survey (PIRLS). Janet is a member of the European Commission's Marie Skłodowska-Curie Actions Advisory Group and the Royal Society Diversity Committee. She also sits on the QAA Postgraduate Advisory Group, the HEA Surveys Advisory Group and manages the Concordat Strategy Group. Her publications include the ‘What Do PhDs Do?’ and ‘What do researchers do?’ series of publications exploring the landscape of researchers’ careers and impact, including ‘Doctoral graduate destinations and impact three years on’. . Her latest publication is What do research staff do next?, on the career paths of research staff who leave European universities to work in other employment sectors and occupations.